With the holidays fast approaching, we asked two wonderful writers (who also happen to be publishing professionals) for their top picks for recently published or reissued books for young readers. Read on to find out which titles Penguin Random House Canada publicist, Evan Munday, and Annick Press associate editor, Claire Caldwell, recommend for this festive time of year. Claire, did you have any books gifted to you during the holidays that you hold dear? CLAIRE: When I was four or five, I was given Maurice Sendak’s version of The Nutcracker, which is actually kind of terrifying — but in that delicious way, where you stare at the Nutcracker’s sinister, toothy smile through your fingers before slamming the book shut … and opening it again for more. Later, I loved the way the holidays would seem to stretch on forever and I could read all day if I wanted to. I was always thrilled to unwrap something like the latest installment in Lemony Snicket’s A Series of Unfortunate Events. I’m not going to lie, though — I also burned through Chicken Soup for the Preteen Soul one December. I may even have read it twice (the rollercoaster of tween emotions was my version of Evan’s gory Bible illustrations, apparently). Something lovely about being an adult is getting to choose books to give to the young people in our lives. But it’s not always an easy choice, which is why Evan and I are excited to offer a few recommendations for books to delight, inspire and captivate kids this holiday season. For kids who love all things wintry and snowy, this Governor General’s Award-nominated picture book is a beautiful ode to friendship and the Canadian outdoors. If you tear up during certain Tim Hortons commercials, you will be a complete sobbing mess after reading this lovingly illustrated story of a group of friends who seize upon the perfect conditions for a late-night game of pond hockey. Even if you can’t skate (guilty as charged), this atmospheric tale with transfix you with each repeated story time. 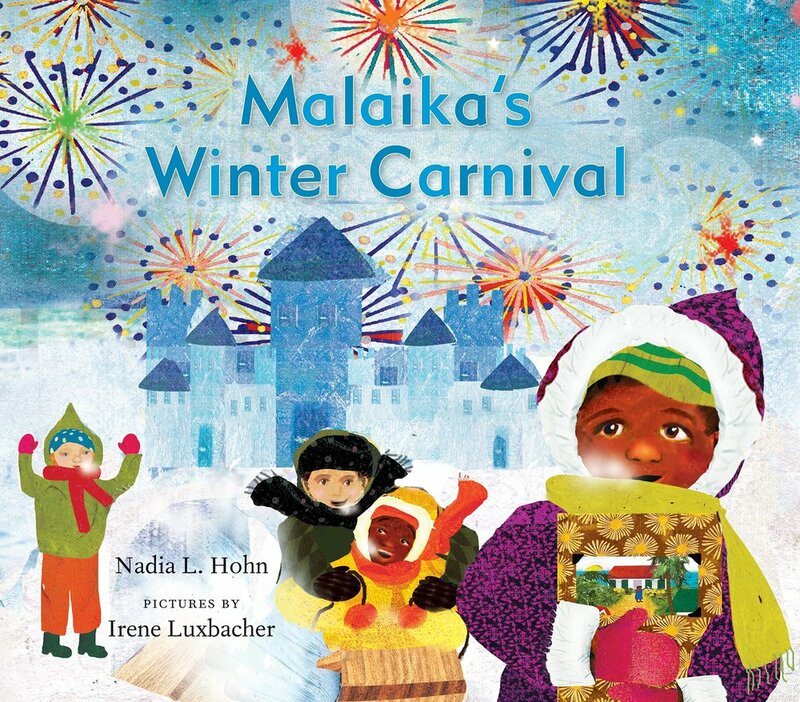 The young heroine of Malaika’s Costume, who previously enjoyed the hot climate of the Caribbean, experiences her first Canadian – nay, Quebec – winter in this joyful book about making the best of new situations and new family members. (At first, Malaika hates the much drearier Canadian winter “carnivals,” but she soon discovers their fun elements.) Blending English with Caribbean and French phrases and Luxbacher’s eye-popping multimedia art, this is a sweet picture book that is a perfect gift for anyone, but would make an especially nice gift to welcome young new arrivals experiencing their first holiday season in Canada. Spending time outside in the winter weather is great, but if your young readers’ pursuits veer more toward taking apart clock radios to see how they work, you’re going to want to check out Innovation Nation by Canada’s former Governor General David Johnston and tech entrepreneur Tom Jenkins. Accompanied by comical and dazzling illustrations from Josh Holinaty, each double-page spread outlines an important Canadian creation: from life jackets to snowmobiles to walkie-talkies and the chocolate bar. 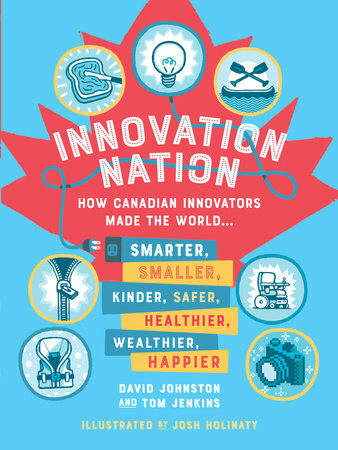 Innovation Nation is a book sure to beguile the next generation of Canadian innovators. Every once in a while, a young adult novel comes along that is simply perfect. In Heather Smith’s novel, Bun, a fourteen-year-old narrator who takes things very literally, is kicked out of her home by her hoarder mother. She ends up on the bleak streets of St. John’s and falls in with a makeshift family of drifters, each of whom you can’t help but fall in love with — whether it’s proud street musician Busker Boy or the former med student and drag queen, Cher, or Big-Eyes, the Catholic school girl running from her past. The Agony of Bun O’Keefe is an ecstasy to read. Whether it’s a Hawaiian shirt or lizard face paint, everyone has that special something that makes them feel the most themselves. For Charlie, that something is the bright red purse that used to belong to his grandma. But according to pretty much everyone except Charlie, purses aren’t for boys. That doesn’t stop him, though, and soon Charlie’s attitude starts to rub off on the people around him. Sonja Wimmer’s lively, joyful illustrations add the occasional surreal twist to this celebration of being true to yourself. Robert Munsch fans will be delighted by this revised and newly-illustrated edition of From Far Away, the true story of a little girl adjusting to life in Canada, co-written by Saoussan Askar. After her family left Lebanon when she was seven years old, Askar started writing letters to Munsch about the ups and downs of moving to an unfamiliar country. Along with the warmth and charm of Rebecca Green’s illustrations, this enduring story will remind kids who’ve come “from far away” that they’re not alone, while building empathy among readers who have always called Canada home. This powerful and visually rich anthology would make a great gift for any teen girl grappling with questions of identity and belonging (read: every teen girl). The essays, interviews, poems and artwork in this collection showcase the passion and perseverance of Indigenous women across North America, centering optimism and hope without shying away from hard truths. Avid readers and budding creators will be thrilled to discover the wealth of voices and burning talent featured here. 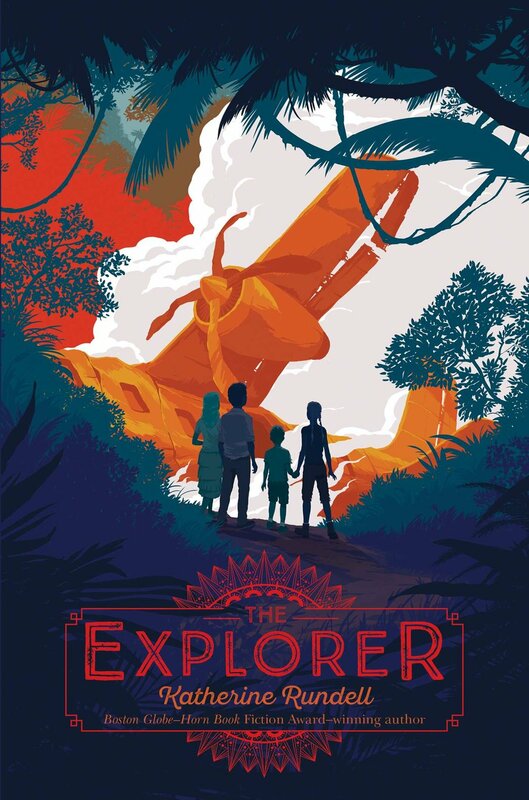 Evan Munday is the author and illustrator of a Silver-Birch-nominated series of novels for young adults, The Dead Kid Detective Agency (ECW Press). He worked as interim director of The Word On The Street Toronto in 2016, and currently is the publicity manager of Penguin Random House Canada’s Books for Young Readers. In 2017, he drew a Canadian of note and posted it online every single day in a project entitled #365Canadians. Claire Caldwell is a poet and editor from Toronto, where she also runs writing workshops for kids. Her first poetry collection, Invasive Species, was published by Wolsak and Wynn in 2014. After five years of editing romance novels for Harlequin, Claire is now an associate editor at Annick Press.